Caption slip reads: "Photographer: Mitchell. Date: 1957-12-05. Reporter: Lewis. Assignment: Tax pickets. 79/80: Small Property Owners of America, Inc. 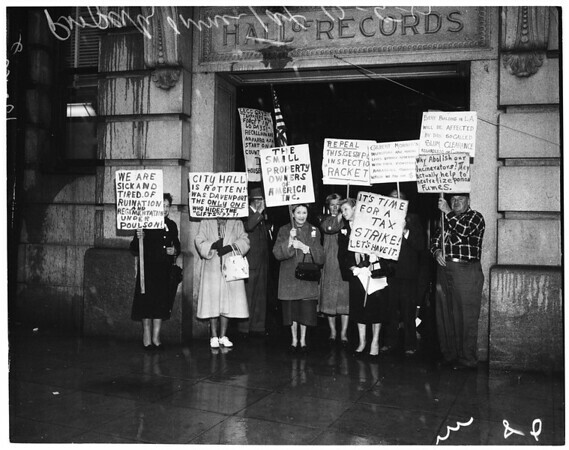 Pickets at Hall of Records".